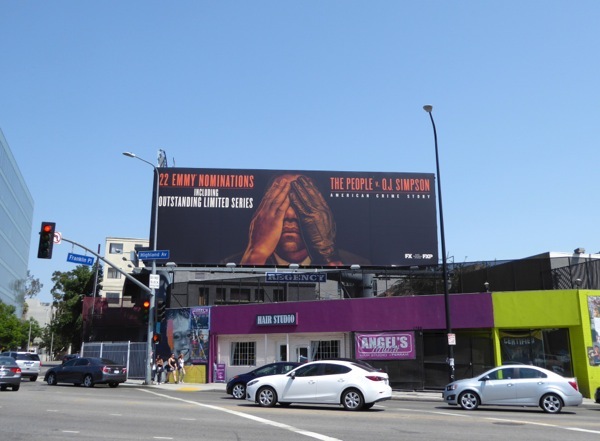 What better way to bring August to a close than with a roundup of all the other Emmy nomination billboards trying to grab TV Academy members attention this season. 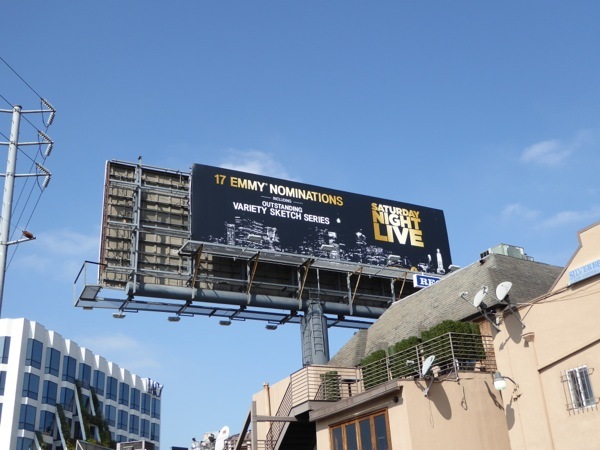 Yesterday we showcased this year's Emmy nomination billboards for Amazon and Netflix, and today it's the turn of all the other cable channels and TV networks. 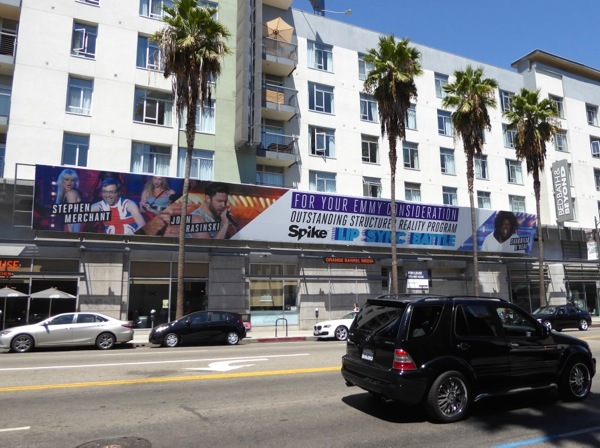 First off let's just say that regardless of who wins on September 18, 2016, the amount of money that's been spent on outdoor advertising to further their chances to win these industry accolades is pretty phenomenal. Of course a lot of these billboards are also to help massage egos and to show support for all the talent involved in these productions, from the directors, actors and writers, to the behind-the-scenes departments like costumes, hair and makeup and technical teams. 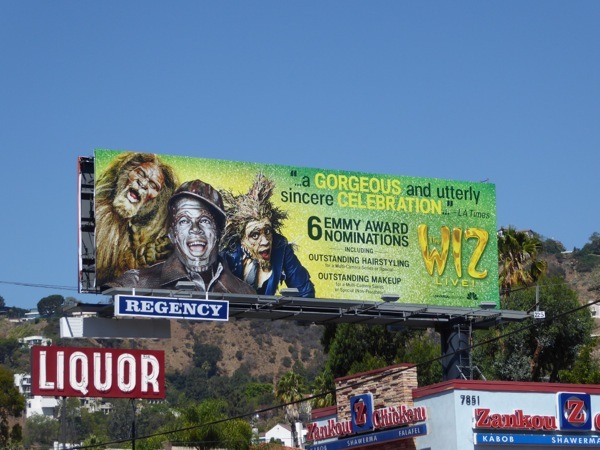 For example these ad creatives for The Wiz Live! 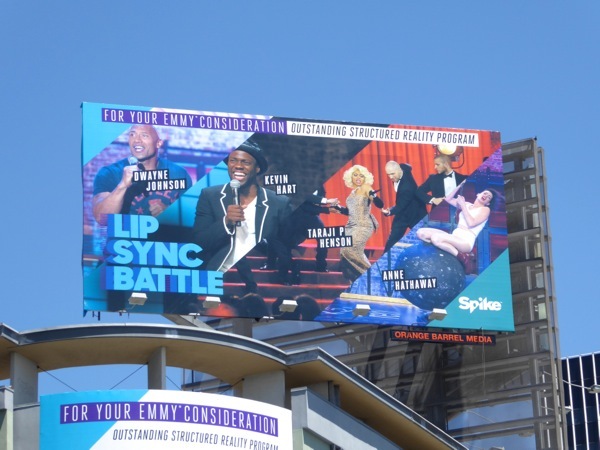 musical spectacular shine a spotlight on some of the Creative Arts Emmy nominations garnered this year, and these billboards were snapped along Venice Boulevard on August 11 and along Sunset Boulevard on August 15, 2016. Another Universal Television production in the variety category nominated again this year was Saturday Night Live, including for Outstanding Variety Sketch Series. 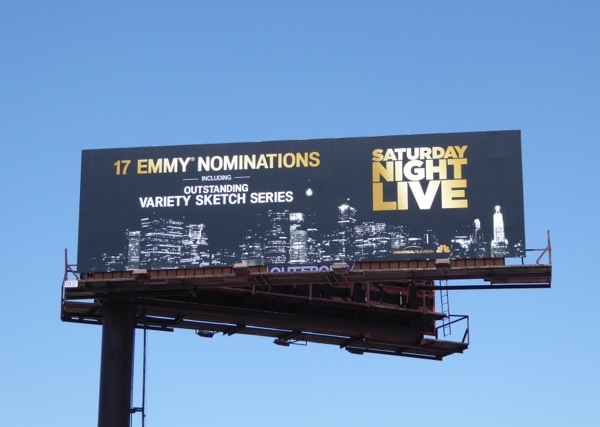 These Emmy nomination billboards for SNL, now in its 41st season, were spotted along the Sunset Strip on August 11 and above Pico Boulevard on August 15, 2016. 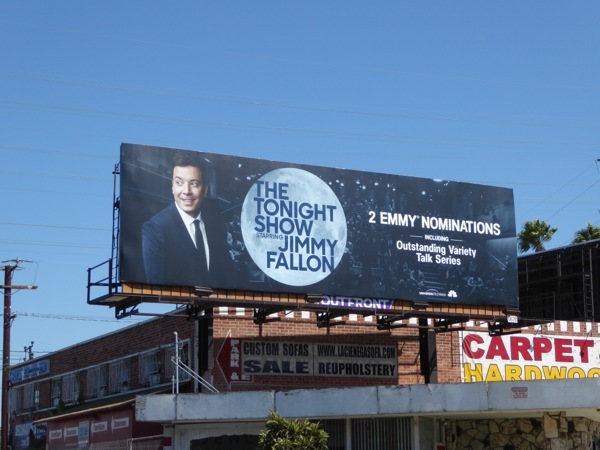 Meanwhile The Tonight Show starring Jimmy Fallon was recognised in the talk show category with two Emmy nominations and this billboard was spied along La Cienega Boulevard on August 18. Singing sensation Adele can do no wrong at the moment, and her Live in New York City special even garnered a handful of Emmy nominations this season. 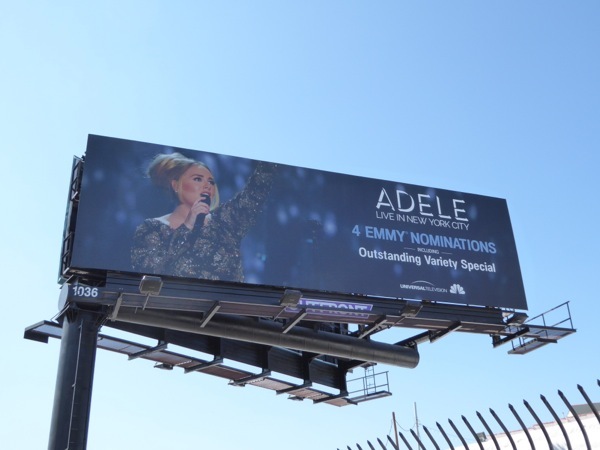 This Emmy nomination billboard for the variety special was photographed along La Brea Avenue on August 22. And even though Netflix streams the Unbreakable Kimmy Schmidt, it's produced at Universal Television so this is their support for the offbeat comedy. 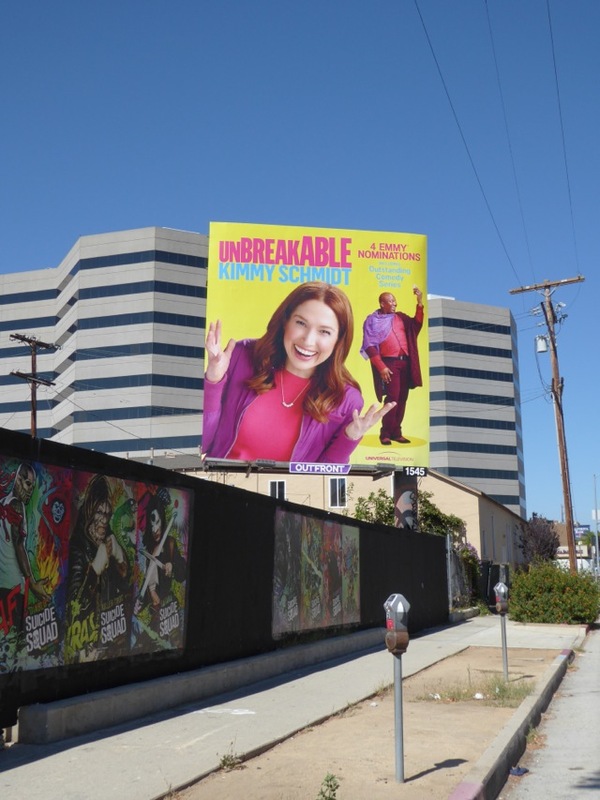 This bright billboard for the show's second season was spied along Olympic Boulevard on August 11, 2016, although Netflix's FYC ad campaign for Kimmy Schmidt is far funnier. 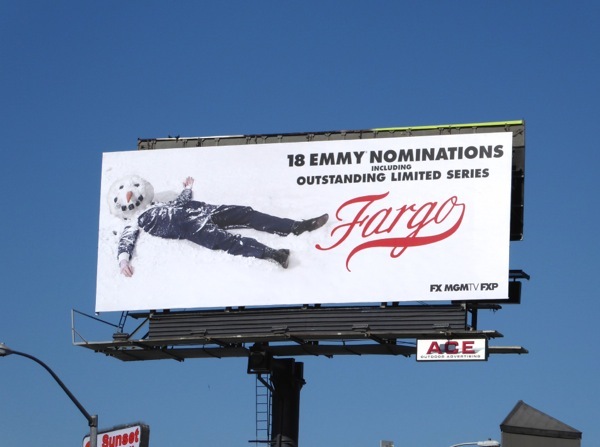 Speaking of funny billboards and this snowman head ad creative for the second season of FX's anthology drama series Fargo is a real head-turner, and was spotted above West Hollywood's Sunset Strip on July 26, 2016. Another FX show receiving critical acclaim this past TV season was The People v O.J. Simpson: American Crime Story, based on the real-lfe murder trial of the ex-NFL star-turned-actor who was accused of killing his wife and her friend in 1994. 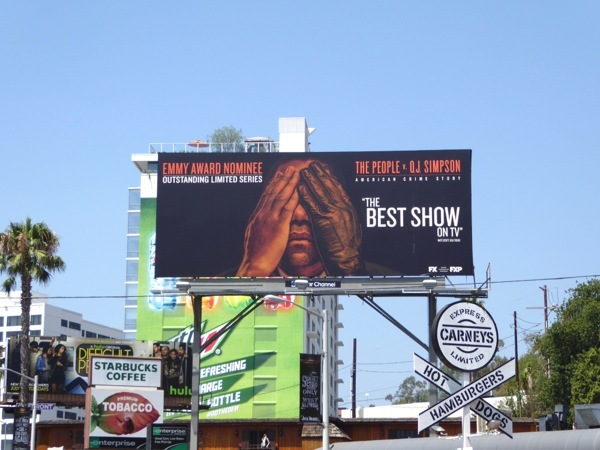 The true crime series is second in Emmy nominations this season, just one behind Game of Thrones with twenty-three nods, so let's see if these billboards snapped along the Sunset Strip on July 16 and along Highland Avenue on August 23, 2016, can help garner the necessary votes to help land a big win. Another FX series finally getting some recognition is the gripping 80s-set KGB sleeper agent drama, The Americans, now in its fourth season. 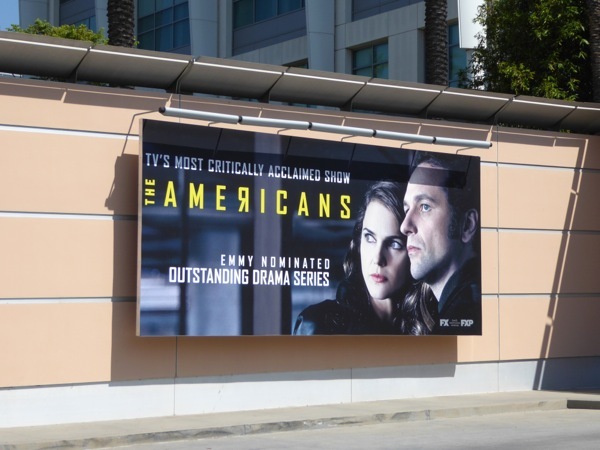 Both Keri Russell and Matthew Rhys were nominated for their outstanding roles as married Russian spies raising a family in America and secretly carrying out missions for their homeland, and this Emmy nomination billboard was spied at Fox Studios along Pico Boulevard on August 22, 2016. 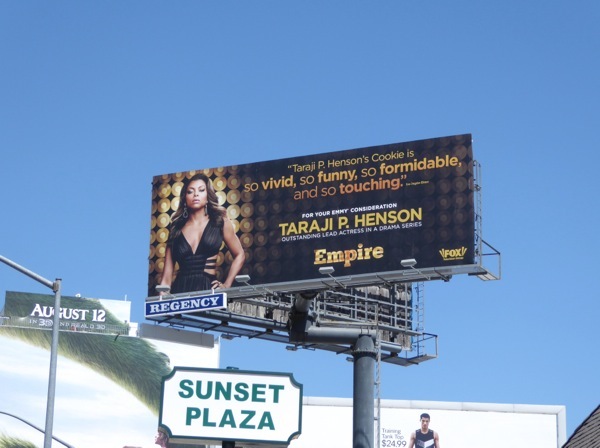 This year Taraji P. Henson is once again nominated for her breakout performance of 'Cookie Lyon' in the second season of R&B music drama, Empire. 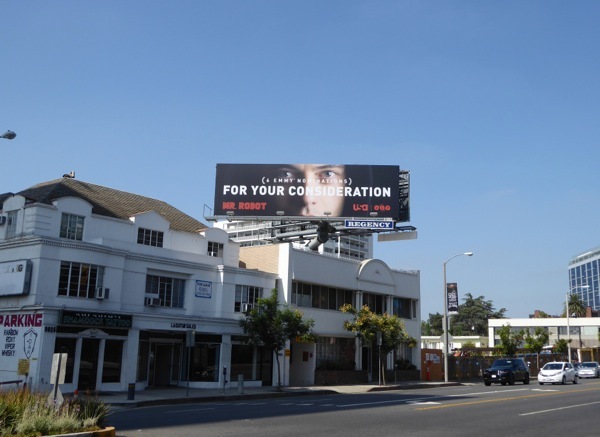 Can this Emmy nomination billboard photographed high above Sunset Plaza on August 4, 2016, help the actress ad another accolade to her awards cabinet after taking home a Golden Globe at the start of the year? NBC started a real trend with its live version of The Sound of Music back in 2013, and it followed that iconic musical with Peter Pan Live! and The Wiz Live! 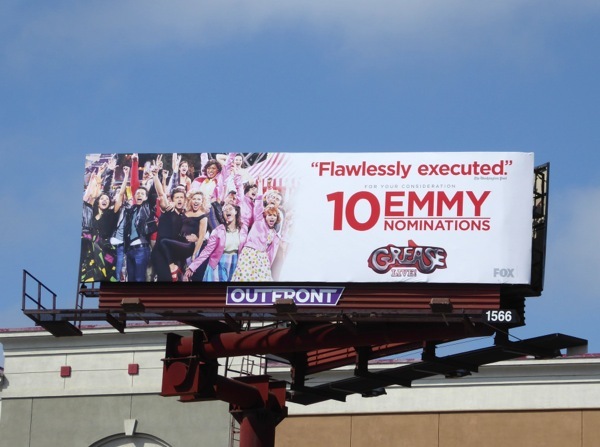 Not wanting to miss out on the action, Fox delivered a dynamic live musical version of the Grease movie this year, so can this Emmy nomination billboard snapped high above Olympic Boulevard on August 12, 2016, convince TV Academy members that this is the one that they want to vote for. 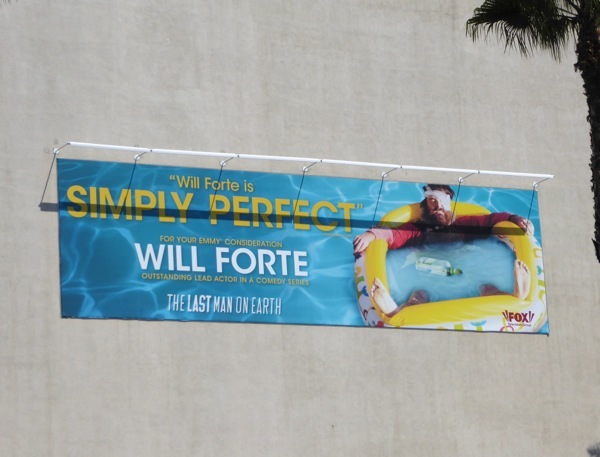 SNL graduate Will Forte once again received an Emmy nomination for his role in The Last Man on Earth for the comedy's sophomore season and this billboard was snapped on the side of Fox Studios on August 22. 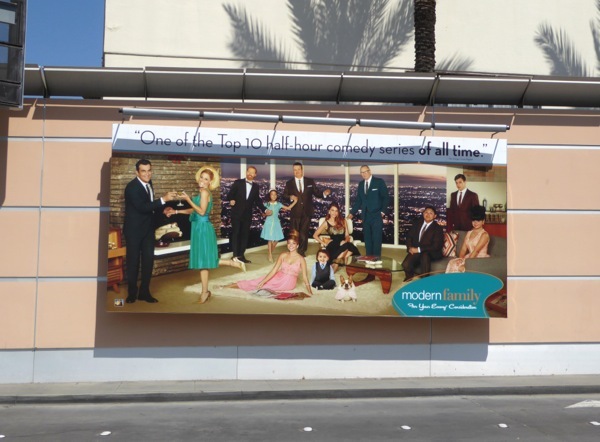 Also photographed the same day in the same location was this fun retro Emmy nomination ad creative for Modern Family's seventh season (having won the Emmy for Outstanding Comedy Series five times previously). Lifetime's glimpse behind-the-scenes of a reality dating show, UnREAL, is another drama series looking for some Emmy consideration this year. 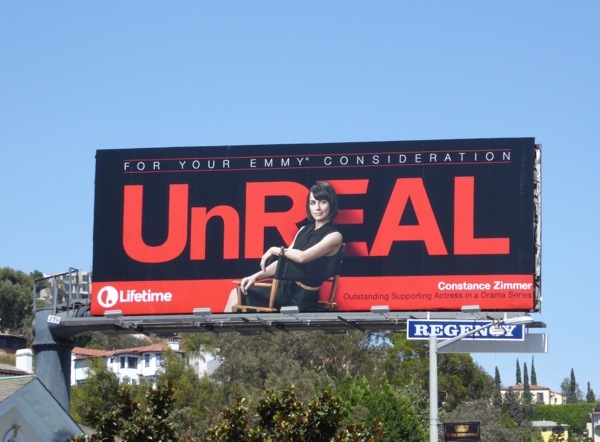 In addition to a nod for Outstanding Writing, Constance Zimmer is hoping to repeat her Critics' Choice TV Award win in the Outstanding Supporting Actress category with this bold billboard along the Sunset Strip on August 19, 2016. 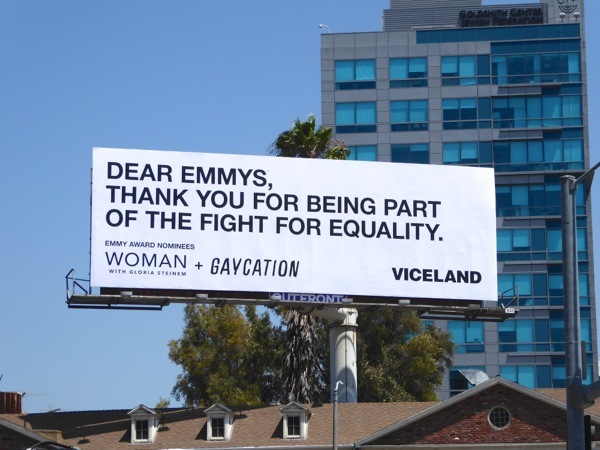 Meanwhile Viceland was trying to schmooze Emmy voters with this clever billboard spotted along San Vicente Boulevard on August 4, 2016, thanking them for nominating both Woman with Gloria Steinem and Gaycation. USA Network's surprise Summer hit from last year, Mr. Robot, also wants some TV Academy consideration for the rookie season of its hacktivist drama. 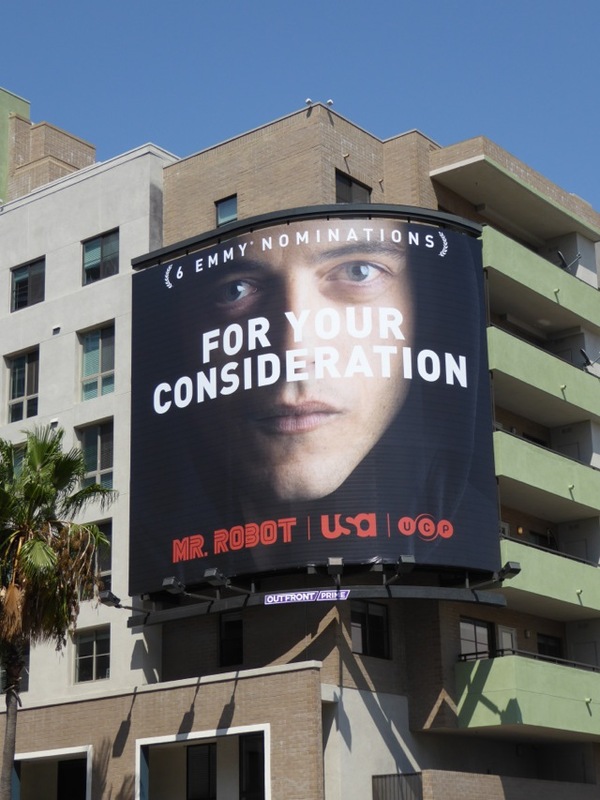 These are just some of the Emmy nomination billboards featuring the piercing eyes of Rami Malek, spied around the streets of L.A., including above Highland Avenue and the Sunset Strip from August 11 to August 23, 2016. 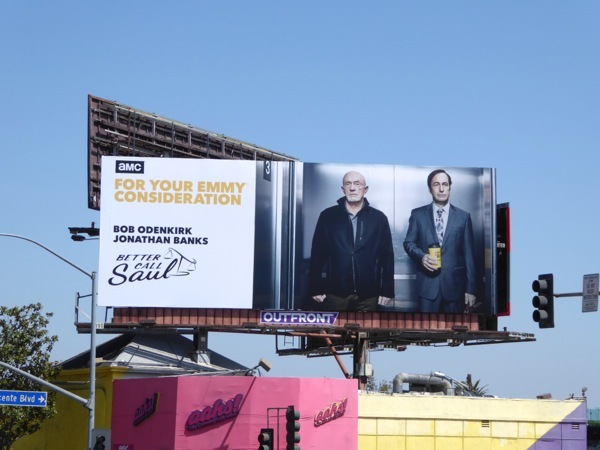 The sophomore season of Breaking Bad spin-off, Better Call Saul, was also trying to garner Emmy favour this month with this ad creative snapped in multiple locations along the Sunset Strip on August 3, 2016. 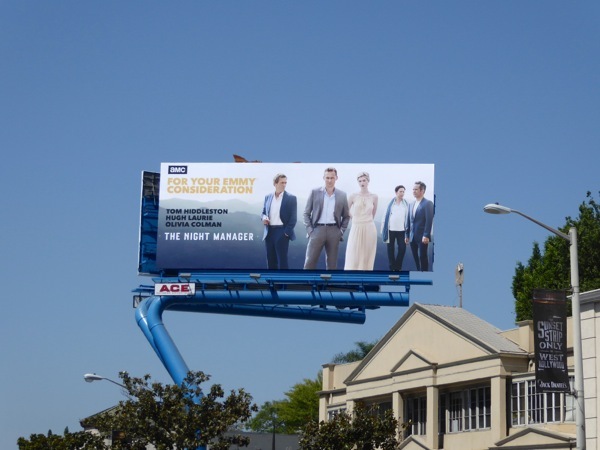 In addition AMC's limited series based on John le Carré thriller, The Night Manager starring Tom Hiddleston, Hugh Laurie and Olivia Colman, was also campaigning with this billboard along Sunset Boulevard in West Hollywood at the same time. At least these two Emmy nomination billboards looked like they were designed to be part of a cohesive campaign from the same channel. 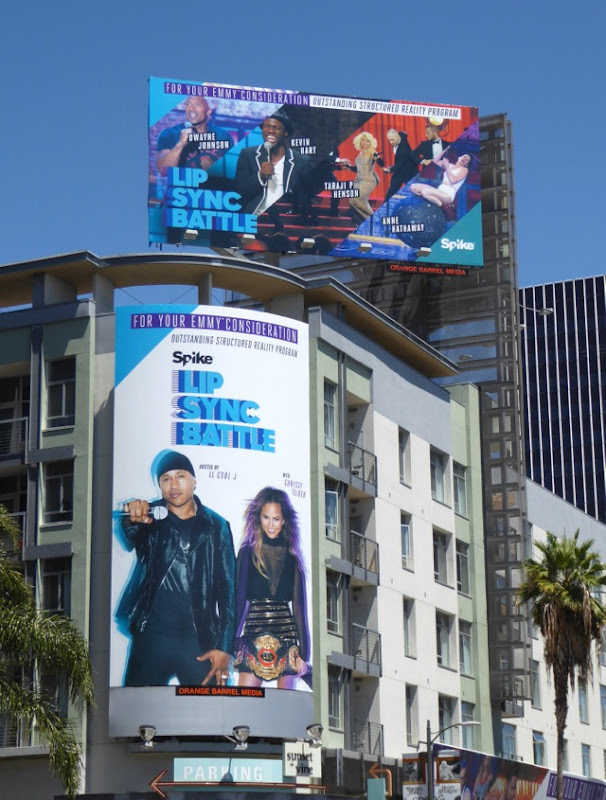 And finally, here's a collection of billboards ads for Spike's popular Lip Sync Battle series, hosted by LL Cool J and Chrissy Teigen, now in its second season. Just as with many late-night talk show segments, this show takes on another life on social media when its celebrity guests dress up and perform signature songs by iconic artists. 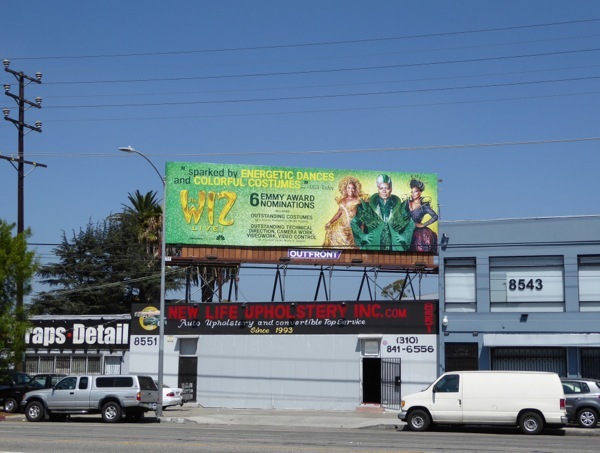 These Emmy nomination billboards were captured on August 17 at Hollywood's Sunset & Vine, and for completion's sake, here's also the sophomore season billboards from earlier this year in the same location on March 30, 2016. 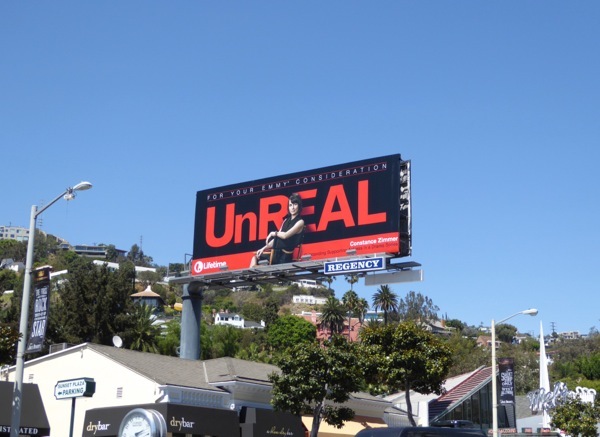 It goes without saying that there's been a huge smattering of Emmy billboards filling the skies in recent weeks (business must be booming in the outdoor ad market, especially with the Fall TV season on the way). 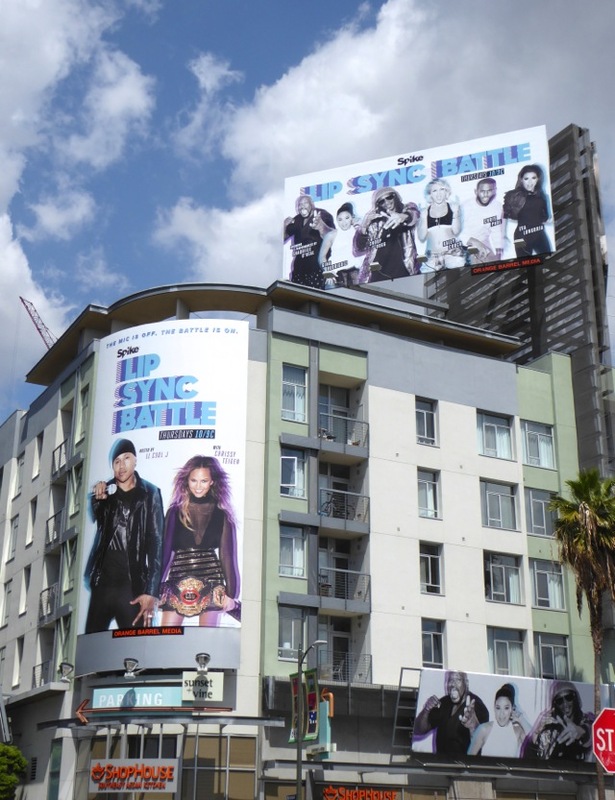 Daily Billboard is sure there are many more besides these examples crowding the sprawling L.A. skyline, but these give you an idea of how much some people want to win. It's not long to go before we find out this year's winners, so maybe these nomination billboards will help you cast your votes wisely. 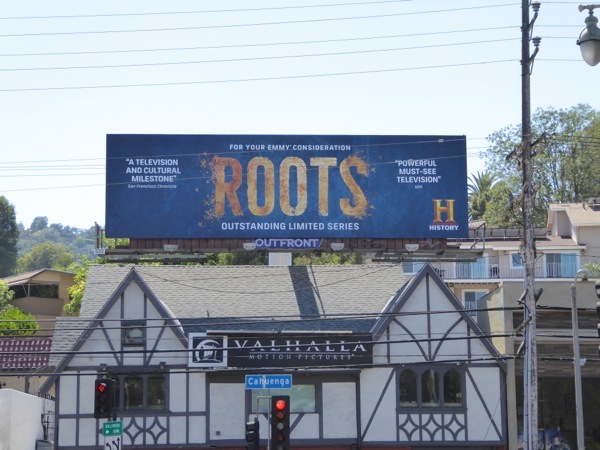 UPDATED: Here's also an Emmy billboard for History's Roots remake mini-series which received five nominations and was spied at Barham and Cahuenga Boulevards on September 3, 2016.